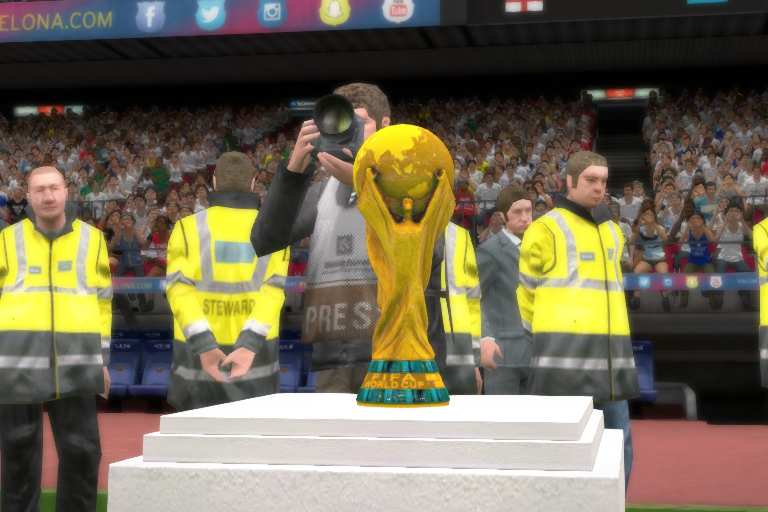 fixed some various minor issue, added some new features most notably added FIFA world cup real trophy. since this is the first time we add tattoos in smoke patch 2017, it was expected to have some rough edges, some faces had some deformation and now they are fixed, but the biggest problem was that the tattoos works only with high quality, when playing medium or low quality the players with tattoos will get error (arms shows like long sleeves) when they are far from the camera, we have created a new tattoos system files that works with medium and low as well as high quality. it was reported that the Asian champions does not continue when it reaches the knockout faze, this was due to a small problem with the acl system file, it is now fixed and works as it should. we got reports about the game not being able to finish when playing at anfield or Emirates stadium, after many tests, this is now fixed and the game starts and finishes as it should.